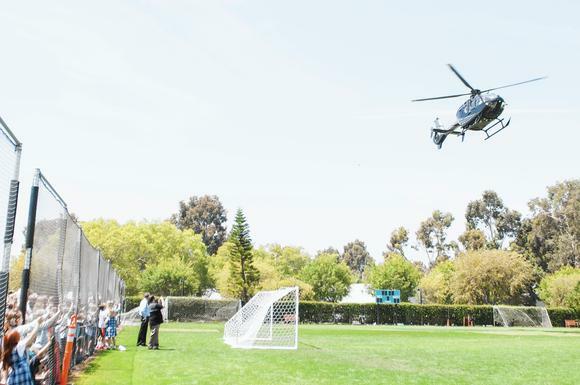 A black helicopter circled closer and closer to the schoolyard at St. Joachim Catholic School in Costa Mesa on Tuesday, prepping to unload its cargo of 2,305 golf balls. Minutes earlier, a group of students had cheered as Elizabeth McNulty showed them a photo of the coastline, proving the aircraft was on its way. “Over Laguna,” she said, reading a text from her phone. 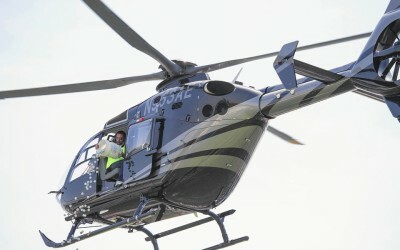 And then the chopper was there, circling in slowly to hover about 75 feet from the ground. 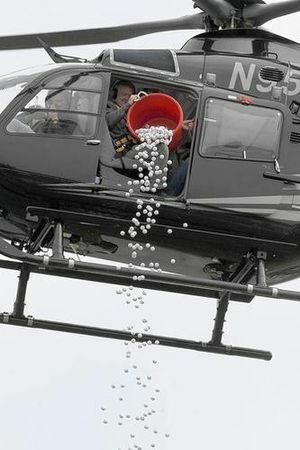 Kids cheered again as a passenger waved and began dumping out three orange tubs full of numbered golf balls. Students had sold the balls for $10 a pop. The ones that landed closest to markers on the ground won their buyers a prize. 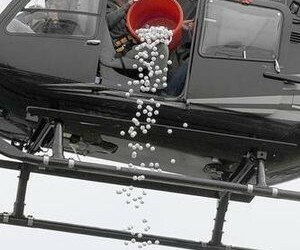 For the last three years, the ball drop has been a fundraiser for the educational program at the 300-student Catholic school. 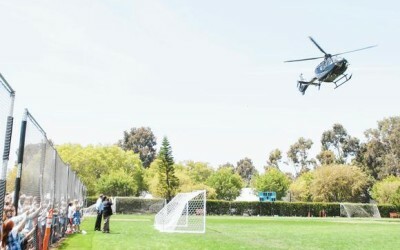 The annual event started when parent Mike Manclark volunteered to fly in his helicopter as part of the fundraiser. “He’s done it before for golf tournaments,” his wife, Michelle Manclark, said as she snapped photos of kids gathering the golf balls in their shirts, pockets and jackets afterward. The event raised about $21,000 last year, and the school estimates it collected about that much this year. “I think the best part about it is watching the kids,” said McNulty, who organized the event. 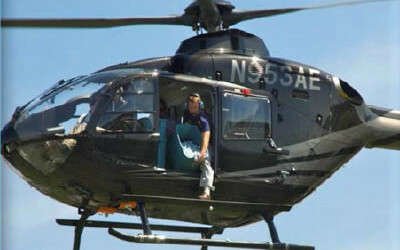 Most students were gathered on the blacktop, sitting cross-legged and covering their eyes or ears as the copter kicked up dust. But a group of seventh-grade boys closest to the chopper clutched the fence as the gusts hit them the hardest. “This side is the best,” said student Cole McFetters. For the first time this year, the grand prize went to someone who bought just one ball. Ten percent of the raffle’s overall proceeds will go to Shannon Bales, who bought a single ball from student Jackson Young, McNulty said. Other parents walked away with $125, an iPad or a Kindle Fire. 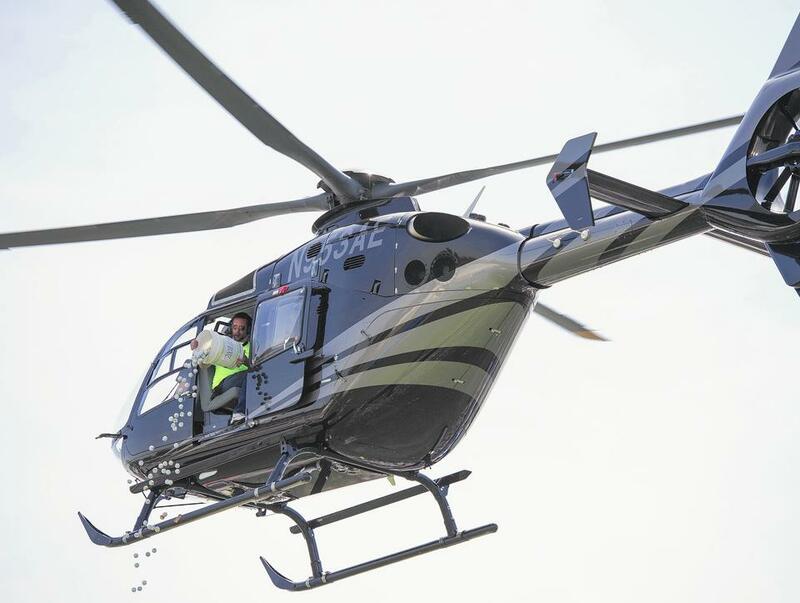 Just a minute or two after it had arrived, following a final wave from inside, Manclark’s chopper spun slowly back up to proper altitude and was gone after tossing out a few straggling balls.